For the first time, Topps has produced an Allen & Ginter factory set. 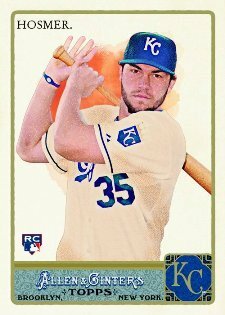 Available exclusively at the Topps online store, the 2011 Topps Allen & Ginter set includes glossy versions of all 350 cards in the set plus ten additional cards not offered anywhere else. Harkening back to the days of the premium Topps Tiffany sets, this new factory set carries a price tag of $99.99. The cards not only carry a glossy coat, but each card is serial numbered /999. Sets share the same serial number.